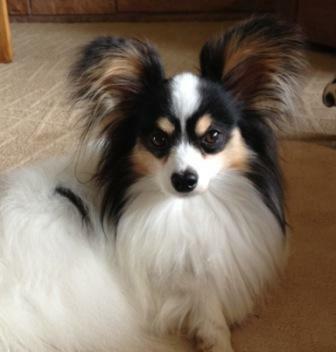 Another offspring from our wonderful Marty! Thank you, Genessa and Fabian, for allowing me to show this beautiful offspring of Marty's. I knew that 2018 there would be a new champion to brag about. 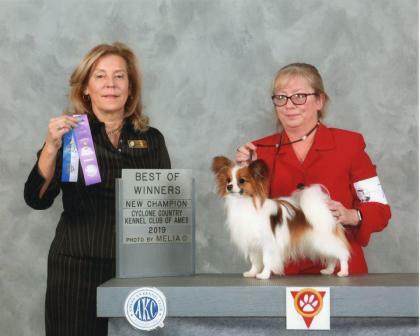 He's a fine, fine Papillon, and I'm proud to have his parents with me, hoping to produce another just like him! 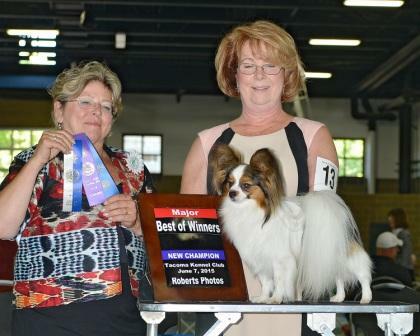 June 12, 2016 under the watchful eye of AKC Judge Ann Hearn at the all-breed show in Puyallup, Washington, Marty earns 2 more points toward his championship. 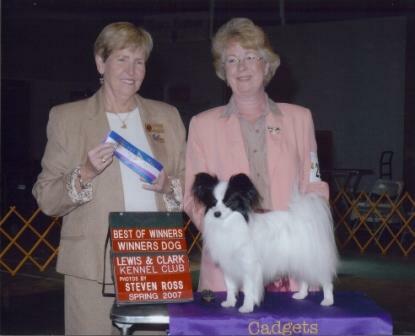 Only 1 major left and Cadgets will have another Bred By Champion to brag about! 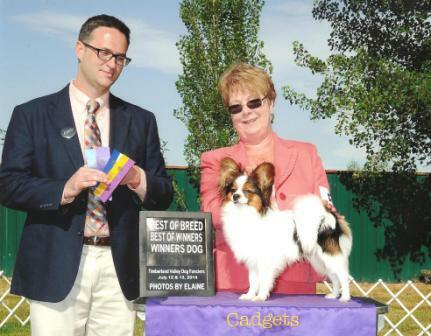 June 4, 2016, Marty goes Best Of Breed at the Yakima Dog Show!!! 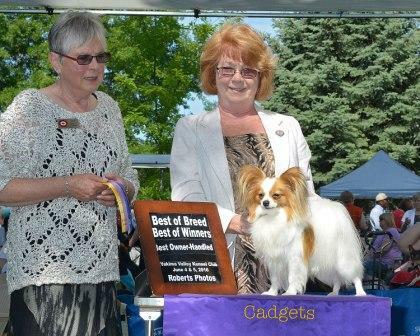 Not only that, but he also got awarded Best Bred By in Breed and Best Owner Handler in Breed. What a guy, and what a day! 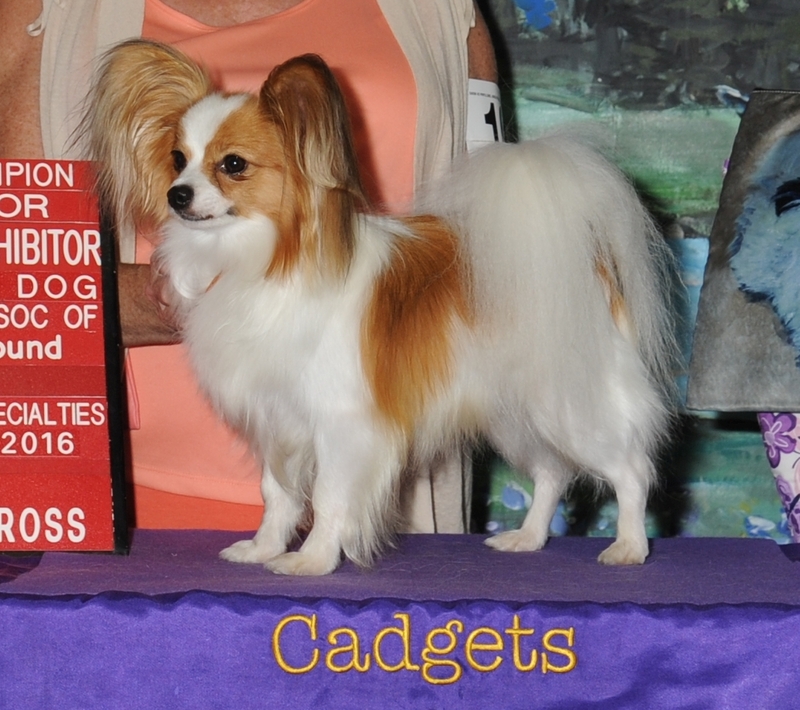 Cadgets Back To The Future is our newest star. As of March 27, 2016, Marty is halfway to his championship title. He is as sweet as he is pretty! Thank you Judge Richard Bohannon for this wonderful win! 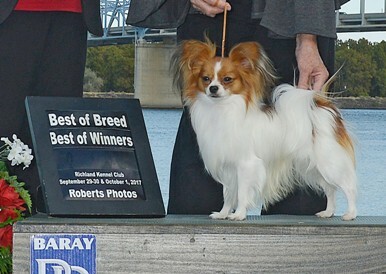 Another Best Of Breed win!! BEST one yet!!! 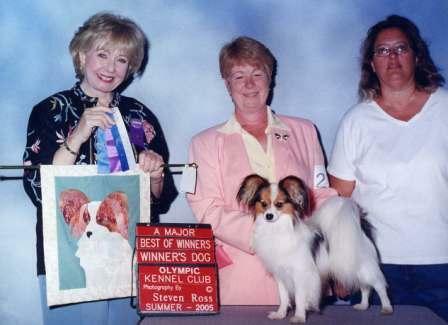 Zelicaon The Whirlwind (Billy) is now an AKC, Canadian, and UKC champion!!! Cadgets and Kokomo's newest addition! Zelicaon The Whirlwind (aka Billy). I already know that Billy is going to be a joy. His personality is spectacular. 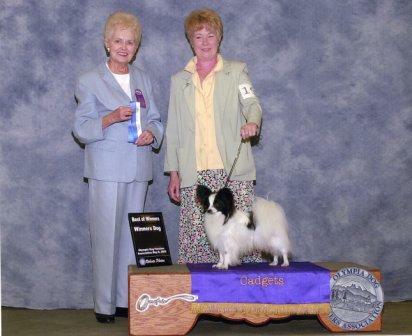 These pictures were taken after he took 3rd place in the 6-9 month Puppy Class at the 2014 PCA Nationals in Wilmington, Ohio. 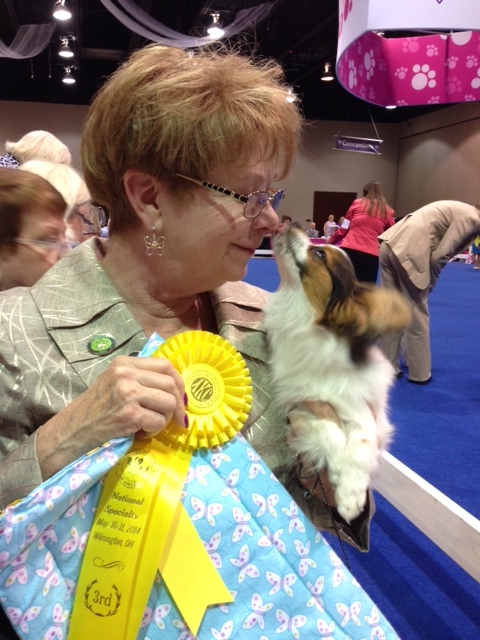 This placement after competing against18 beautiful puppies has made me so very proud! A huge Thank you to Forrest Johnson for allowing my friend, Jamie Foti and myself to bring this wonderful baby to the Northwest! Billy will now be listed in the books as CH Zelicaon The Whirlwind !!!! Finishing his Championship June 7th, 2015 with a 4 point major at Puyallup, Washington. 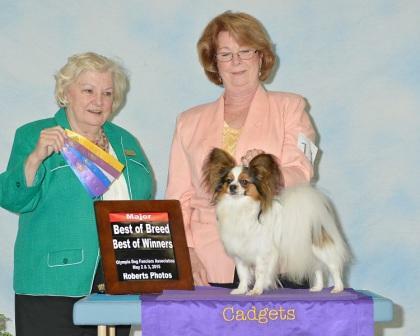 Cadgets first Bred By Champion!! 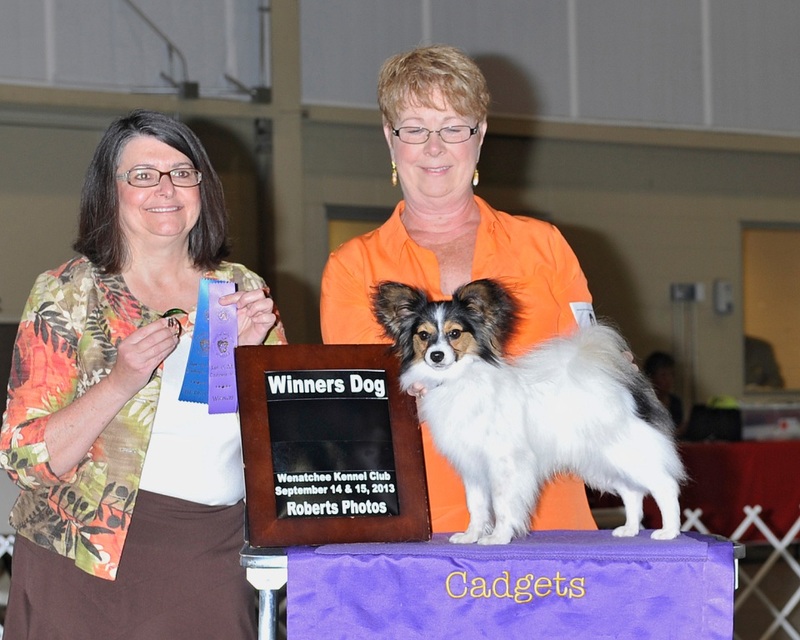 The boy that turned things around for Cadgets!